People that regularly snap selfies often like to post said photos to social media or send to their friends but a new study published in Social Psychological and Personality Science points to multiple underlying issues. According to the study, regularly selfie snappers tend to overestimate their attractiveness and likability to a greater extent. What’s more, research shows that independent observers view selfie fiends as being more narcissistic compared with non-selfie takers. For some of you, this revelation probably won’t come as much of a surprise. As PsyPost points out, selfie-taking may be a way for people to enhance a phenomenon known as “self-favoring bias” in which people have a tendency to perceive themselves as being better than average with regard to a wide range of positive traits. Evidence also suggests that self-favoring bias is most prominent in situations in which the person has a high level of personal control, like on their social media accounts. In the study, psychologists at the University of Toronto asked 198 college students – 100 of which identified as regular selfie-takers and the other saying they rarely if ever snapped selfies – to take a selfie using a smartphone. The participants also had their photo taken by one of the people conducting the study. The images were then shown to 178 independent raters on the Internet who were asked to rate the images for attractiveness, liability and narcissism. Both groups of participants showed signs of self-favoring bias by thinking they would be seen as more attractive and likeable in their photos than what the independent raters reported. 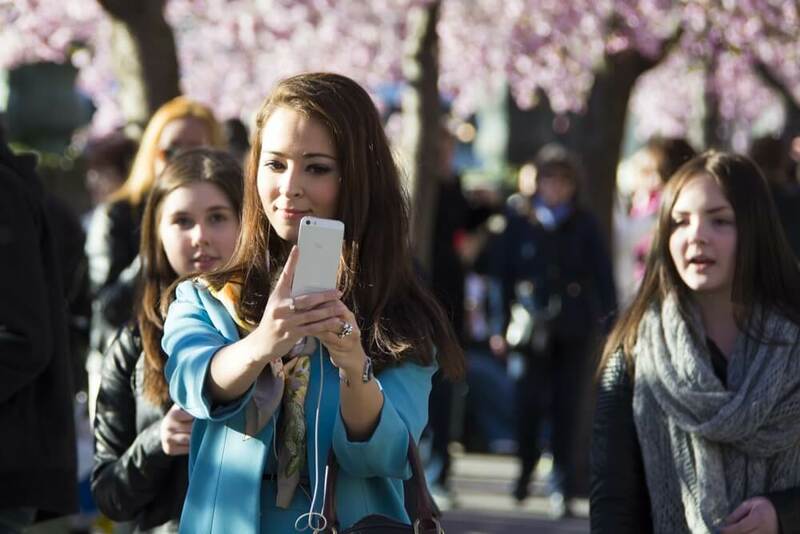 Regular selfie-takers, however, overestimated themselves significantly more, the study found. Raters also thought the regular selfie-takers looked more narcissistic.